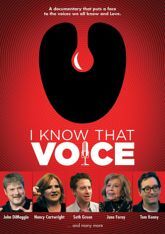 This documentary puts a face to the voices you love. Executive Producer Jon DiMaggio (the voice of Futurama's Bender) brings you this fond tribute to the talented men and women who provide the voices of some of your favorite animated characters. Featuring legends such as June Foray (Rocky & Bullwinkle) and Stan Freberg (Looney Tunes) along with contemporary heavyweights such as Hank Azaria (The Simpsons), Tom Kenny (SpongeBob Squarepants), Seth Green (The Family Guy), Mark Hamill (Batman) and Nancy Cartwright (The Simpsons) and more!